I love skiing, but I wouldn’t call myself a pro. With that said, I still always look for quality in the performance of my gear! 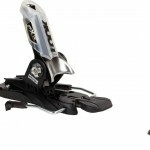 I was looking for a binding that was lightweight that would have really good ease of use and comfort online and I stumbled across the Atomic FFG Ski bindings. This feature is optimal for me. When getting in and out of the ski, I want it to be as easy as possible. The Automatic Adjustment on the XL wings makes this situation a total breeze. Not only that, but the design lends for a safe fitting of my boot for those situations when I want to turn it up a notch! 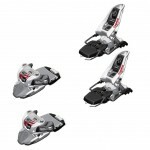 At only 2100 grams per pair, these bindings will feel great on the hill. 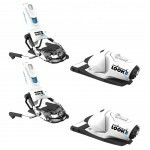 I really enjoy having a sleek binding when I am hitting the slopes because it generates an overall better skiing experience for me by reducing the bulkiness of the skis while simultaneously keeping me balanced. 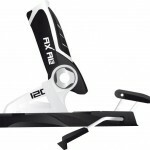 If you are looking for a good quality, lightweight set of bindings for almost any situation, then you need to check out the Atomic FFG 12’s. With their sleek and light design, coupled with quality manufacturing, you really can’t go wrong. Hope this helps and have fun on the mountain!